Optimizing reporting requirements and performance for interventional pain medicine practices. January 15th 2019, San Jose, California: Bizmatics Inc, the leading provider of Ambulatory EHR announces its integration with NIPM-QCDR (National Interventional Pain Management – Qualified Clinical Data Registry). The CMS-approved NIPM-QCDR offered by ASIPP (American Society of Interventional Pain Physicians) caters to interventional pain physicians. Practices can utilize NIPM-QCDR to fulfill requirements of the Centers for Medicare & Medicaid Services (CMS) Merit-based Incentive Payment System (MIPS). NIPM-QCDR will capture and analyze data that are clinically relevant and appropriate for interventional pain physicians. Bizmatics’ integration with NIPM creates greater productivity for providers and makes quality reporting more meaningful for their everyday practice, where their only focus remain on delivering quality care rather than reporting on it. About NIPM-QCDR: The ASIPP Quality Registry and National Interventional Pain Management – Qualified Clinical Data Registry (NIPM-QCDR) is specifically tailored for interventional pain physicians. It enables providers and their patients to confidentially and securely report real-world outcomes following procedures performed in an office, surgery center, or hospital. It is the only solution specifically designed for interventional pain physicians to meet requirements of the CMS Merit-based Incentive Payment System (MIPS). About Bizmatics Inc: Bizmatics Inc. is a healthcare technology company serving the needs of Ambulatory Medical Practices of all sizes and specialties. 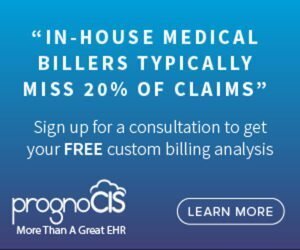 PrognoCIS – their cloud-based EHR Software provides physicians with tools that promote quality and value-based care for their patients. PrognoCIS helps providers take utmost care of their patients by seamlessly integrating scheduling, documentation, billing and patient engagement. Some of the features that help achieve this herculean task include Practice Management, Medical Billing and Revenue Cycle Management, Telemedicine, Patient Portal, e-prescription and more. PrognoCIS clients include physician practices, specialty medical centers, community health clinics, diagnostic laboratories, medical imaging centers, first responders and virtual clinics (telemedicine).